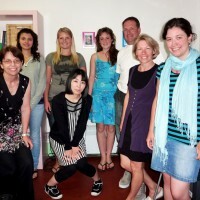 Are you looking for a quality French language school in Montpellier France? Ecole Klesse is "one of the best French language schools in France....." (school agents) : Very small classes with 8 participants maximum, all the year All levels available all the year : from beginners A1 until advanced with C1 and C2 levels Experienced and qualified teachers to study quickly French language and all skills : speaking, writing or french grammar Delf Dalf courses/examination - general French and intensive French programs - Academic year programs - Crash courses - Business French courses - French for Tourism French tests + Certificate level at the end of the stay The school was founded in 1965 in the south of France; close to the Mediterranean, the Camargue and Provence. Located in the centre of the charming town of Montpellier in a traditional "bourgeois" house with a pleasant, cheerful atmosphere. The school is in the middle of Montpelliers cultural and festival life. Ecole Klesse is well known for its programs of "tailored" linguistic immersion for individual students or groups; always in small groups (8 participants maximum) with a similar level of French (systematic free entrance test) : Intensive French course 30 lessons per week in very small classes : 8 participants maximum Delf Dalf preparation/course 25 lessons per week in very small classes : 8 students maximum General French course 20 lessons per week in very small classes : 8 participants Individual French course Business French - Tourism Option course combined with French courses French for Groups tailored French programs for schools Teachers French courses We also teach specialised French language (you can learn french for business, tourism, computers, law, health), organised by our professional and experienced team. Ecole Klesse guarantees rapid and noticeable progress in French for foreigners! "La méthode de travail est très bon ! j'ai fait beaucoup de progres. ma famille est très bien. 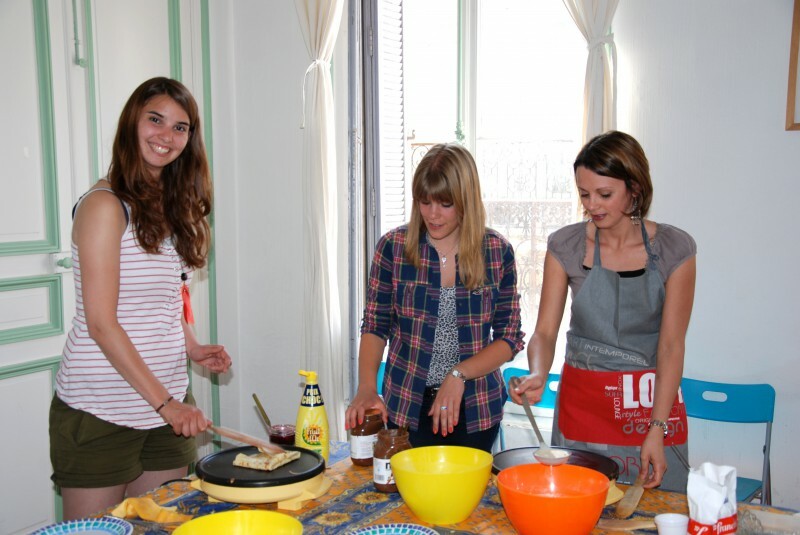 j'a..."
Enjoy your stay in Montpellier: Top quality French courses in very small classes with only 8 students to learn French quickly. The Standard course (20 lessons a week, very small class max. 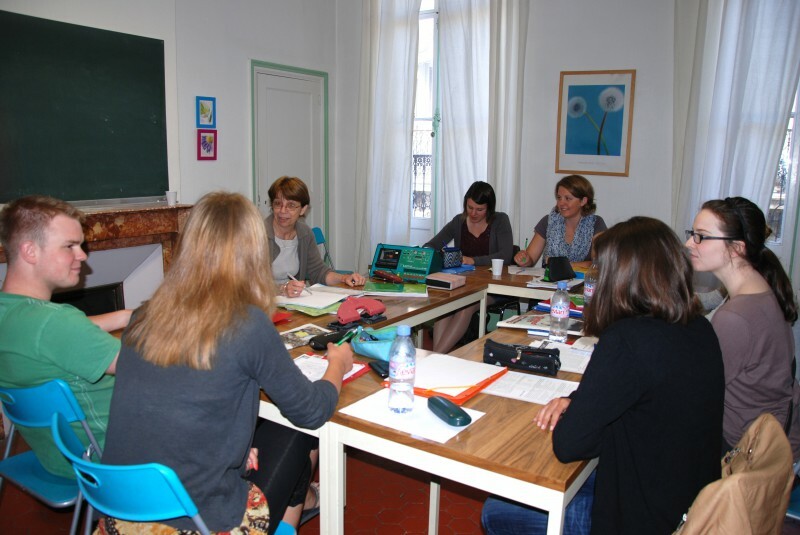 8 participants) for a stay of book 2,3,4 to 12 weeks and more... A very serious pedagogical programme that will systematically lead you through all the points of modern written and spoken French (according to your language level). Prices including all the materials you need (French grammar book...) This course is combined with afternoon activities : 2 or 3 per week + 1 whole day activity during the week-end to discover beautiful Montpellier and the south of France : Nimes, Avignon, Le Pont du Gard... Prices may varied according to the cultural activity program. This semi-intensive program is adapted from short until long periods : 1 to 48 weeks and more. -20 lessons (50 min.) / Week -Very small classes : max. 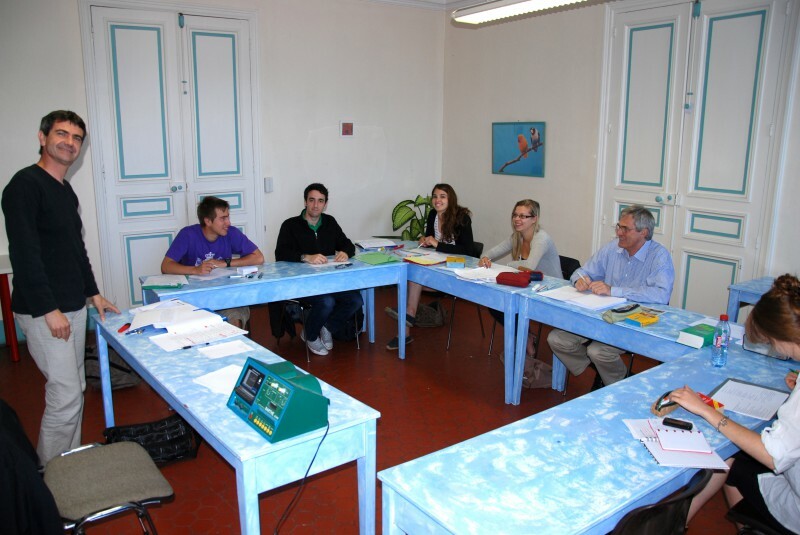 8 students -Every morning from 8.30 till 12.05 - Monday to Friday A very serious pedagogical programme that will systematically lead you through all the points of modern written and spoken French (according to your language level). The Prices including all the materials you need (French grammar book...). The Standard Course for general French is planned in such a way as to provide a sound training in the language over 1 to 3 terms. Writing, speaking and grammar are taught so as to progress quickly and always with the pleasure. 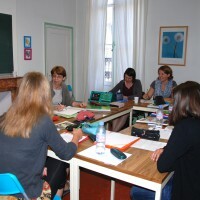 Intensive French course in Montpellier : 30 lessons per week (50 min./lessons) 8 students max.per group Every morning (8.30-12.05) + every afternoon (13.00-15.05) length of course : 1, 2, 3 or 4 weeks or more... The intensive courses are particularly suitable for people with little time for a long language stay due to professional commitments. 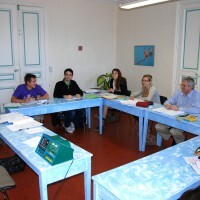 Such people require a course which will enable them to learn or improve their French in a short time. If you fall into this category, then this is the course for you. 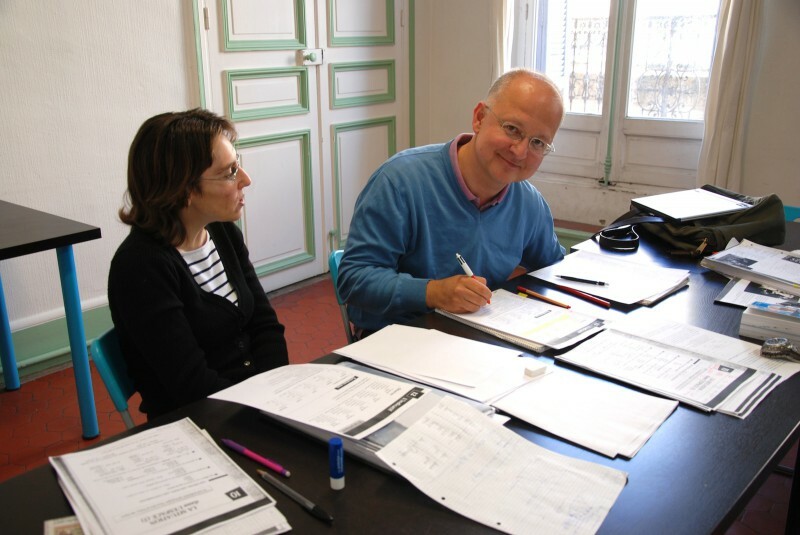 The use of spoken French is given an important part in this course. There is a variety of exercises to practise grammar, idiomatic expressions, pronunciation, reading comprehension together with many opportunities to put the theory into practice. Furthermore, the grammar and vocabulary exercises together with newspaper articles are dealt with in a lively and stimulating way. The newspaper articles used in class cover a wide variety of subjects including the economy, politics, current affairs etc. The tuition revolves around everyday life in order to be able to apply the grammar and vocabulary acquired. The Intensive course is suitable for students of all levels, even beginners. By means of a test each individual will be placed in the group which corresponds to his/her level of French. Practice in comprehension and the use of modern French as it is really spoken. Numerous and varied exercises to stimulate the student , who consequently makes rapid progress. In grammar the essential points are covered clearly and simply in a lively and varied way. If the group so wishes, it is possible to give more importance to certain subjects such as the economy, tourism, law, medicine, politics etc. 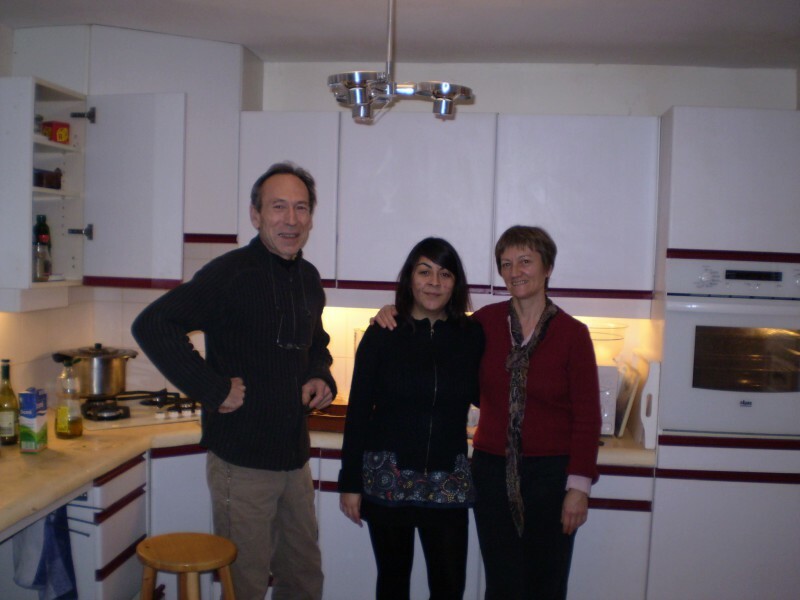 A stay with a French host family is highly recommended since the student is obliged to speak French throughout the day. This one to one course is particularly intensive but flexible. It is adapted to suit a student's level, to meet his or her individual needs and can be adapted to a more specialised domain of language, such as: business language, law, informatic language, tourism language (consult also option courses). 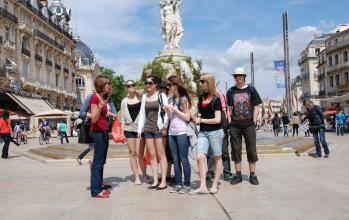 The teaching of specialised French language is organised by our professional experienced team. All levels can be catered for, even absolute beginners. The one-to-ones are also suggested for special exam preparations : - GCSE, AS or Abitur - Diplôme Supérieur de l'Alliance Française, - DFA 2 (CCIP) , - Certificat du français du secrétariat, - Certificat du français scientifique et technique, informatique, - Certificat du français juridique, - TEF (test d'évaluation de français). 26 lessons combined with 20 general French courses + 6 business French courses in small class in 2 afternoons. Professional French certificate: The French Certificate professional (CFP) concerns all those that wants to have a first approach of the French language in a professional context, and that wish to validate their acquirements by a diploma official respondent to the requirements of the professional world. The professional French Certificate valids the French knowledge going from elementary\raised to middle mediator. The holder of this certificate can achieve some simple acts of professional communication in a known or foreseeable context. While putting the accent on the expertise of communication and the ability, the CFP values the level reaches in the four expertises: the written understanding - the written expression - the oral understanding - the oral expression. The Diploma of French of the business, 1st degree (DFA 1) Concerns to students, training, professional, that reached a good level of knowledge of the French language applied to the acts of communication and that wish, in a professional perspective, to validate their acquirements by an official diploma adapted to the requirements of the professional world.. The Diploma of French of the business, 1st degree (DFA 1) Destined to candidates having reached a French elevated / advanced intermediate level used in a professional context. Diploma of French of the Business, 2nd degree ATTENTION: This diploma only gets ready by one-to-one tuitions. The Diploma of French of the business 2nd degree (DFA 2) concerns all person wanting to justify his/her faculty to use with efficiency French in most social and professional situations, including in situations of responsibility. It especially answers to the needs of the enterprises or institutions that maintain regular relations with French-speaking partners. It allows these to select the staff whose professional practice is doubled by a real linguistic expertise. It also answers the needs of the candidates that wish, in an ulterior stage, either to follow a higher education efficiently in French in a specialty in relation with the world of the business (trade, management, economy, administration of enterprise, etc. ), either to pursue their perfection while preparing the 3rd degree of French of the business of the CCIP (the Diploma deepened of French of the business & ndash; DAFA). The DFA 2 is destined to candidates having reached a French advanced / superior level used in professional context. 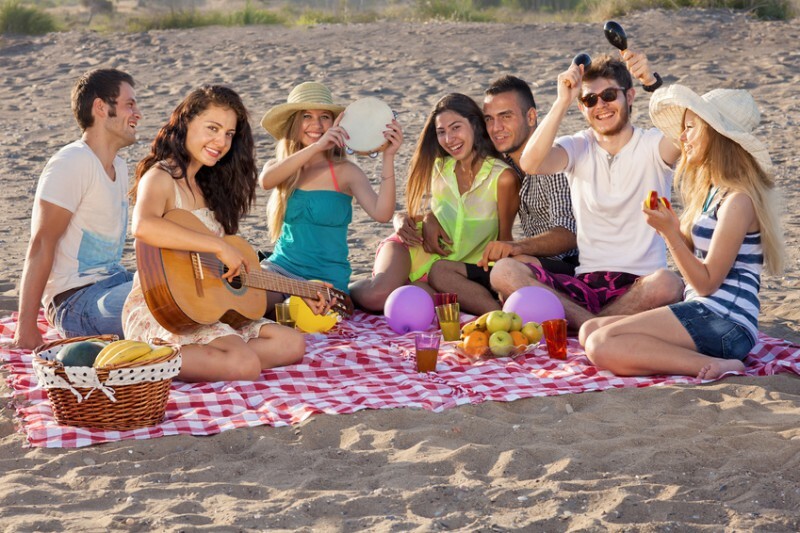 You will perfectly be prepared for the obtaining of these dîplomeses universally recognized in the world of the business, of the professionals of the tourism and the high-level inn. The Klesse school is official center of these exams. It is therefore at the very school that you will be able to pass these dîplomeses. 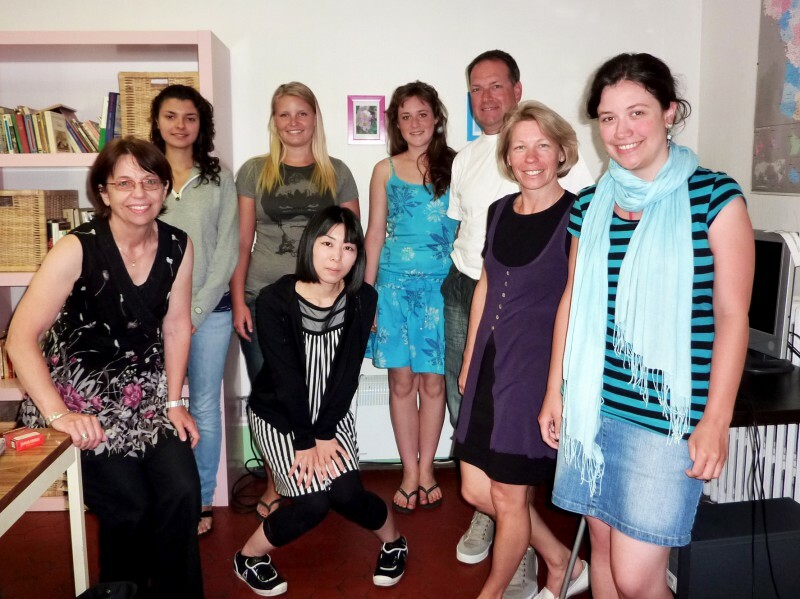 Learn French with your family with a dedicated French teacher. 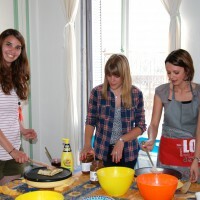 Al the family is welcome to learn French with pleasure : guided visits, games, cooking courses.... This program is available from 4 persons until 8. 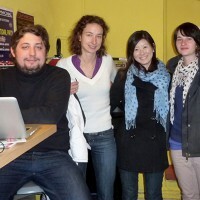 Speaking French courses in very small classes to learn speaking French skills : pronunciation, listening and conversation. 10 lessons per week from Monday until Friday afternoon. 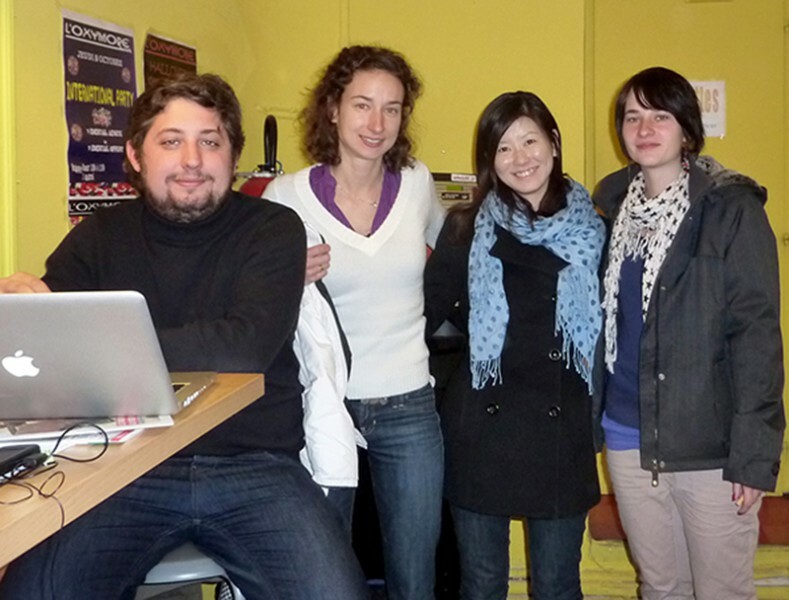 This course can be combined with general French courses in the morning. See also Standard Course if you wish French courses in the morning : 20 lessons in very small classes. You'll learn French as much as possible. 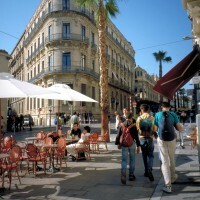 Delf Dalf courses in Montpellier: 98% success rate for our students since 2002! 25 lessons (50-minutes) per week Very small classes : 8 students max. per group Every morning (8.30-12.05) + 2 afternoons (13.00-15.05) From 2 weeks until academic year program These courses prepare for the following examinations: Delf / Dalf. A perfect mix (theory and practice, tests in real conditions and intensive training) totally adapted to the examination programme. The Delf Dalf preparation has been conceived to cover 1 to 3 terms. Students are welcome from A1/A2 level to C1. The duration of the Delf Dalf preparation may vary depending upon your current level. It is possible to enter this preparation from 2 weeks until academic year course. Dalf C2 preparation is also available with specialised teachers as one-to-ones courses or in very small classes. Furnished apartments available all year around : kitchenette, bath room, located 10 min. by tramway from the inner city of Montpellier and the school. Special prices for our students. You are welcome in a French house with single bed room with free access to kitchen and bath room. Transfers included. 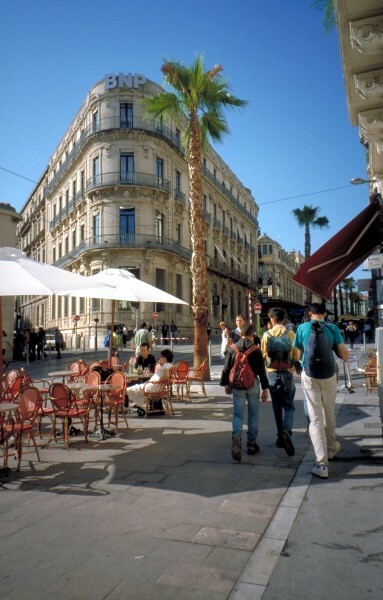 The residence, in Port Marianne, Montpellier, is at the heart of the new administrative and commercial centre of the town, and has fully equipped apartments and studios for up to 6 people: from 1 until 6 persons. The residence is well located beside a tram stop (Moularès ), enabling easy access to both the beaches and the centre of the town. Guests will enjoy the rooftop swimming pool, offering fantastic views of Montpellier, as well as the in-house spa area, jacuzzi and sauna. Prices mentioned are based on 1 studio for 1 or 2 persons. Extra charges in July and August (high season). Please contact us for larger flats for 4 or 6 persons. •Personal care of each student who is welcomed at Ecole Klesse. The accommodation is organized by the school. We take care of your personal wishes and we book for you the accommodation you wish. The student is welcome, the starting day, 15 min. before his French course (8.30). The number of enrolments is limited, please enrol early for the period required. Any cancellation must be sent by registered mail. In the event of a cancellation made less than 3 weeks before the beginning of the course, the school will retain 30% of the total course fees. A cancellation occuring less than 1 week before the beginning of the course, the school will retain 50% of the total course fees. Most recent booking for this school was from Nigeria and saved €9.75!